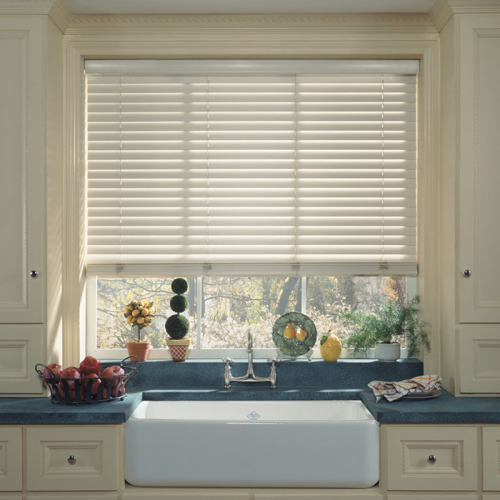 The classic venetian blinds style allows you to adjust lighting levels instantly by altering the angle of the slat. Slatting is available in either wood for a traditional feel or aluminium for a more contemporary look. Cheshire Window Shutters unique installation system Perfect Fit® allows Venetian blinds to be installed without drilling or screwing into the window or surrounding plasterwork. Venetian blinds installed using Perfect Fit® operate with the window in a way that only they can – improving performance and increasing flexibility.